Locking More People of Power in Prison Will Promote Prison Reform! Bring in the Governor! News reports show that federal law enforcement officers have arrested the sitting governor of Illinois. Governor Blagojevich may soon follow his predecessor, Illinois’ former governor Ryan into federal prison. I’ve been locked inside various federal prisons since 1987, and it always pleases me when formerly influential members of society join our community of felons. Besides the two governors of Illinois, our prison system confines the former law-and-order congressman Duke Cunningham. Senator Ted Stevens of Alaska, a new convict, may soon join other former legislators and government representatives who serve time with me at Taft Camp. My enthusiasm in welcoming these leaders of society into the prison system isn’t because I want them or their families to suffer. Rather, I want them to bring attention to the absurdity of what is becoming our prison nation. Most influential people in society live in oblivion with regard to the more than 2.3 million people who languish in America’s prison system. Locking up these leaders may advance the chances for prison reform. I do get a kick out of conversations I’ve had with people who were born into privilege, yet now struggle through the indignities of prison alongside me. Despite their erstwhile passion for lock-’em-up-and-throw-away-the-key justice, they now whine about the complexities of confinement. They don’t understand why administrators limit our access to telephone calls home and visiting privileges. They consider policies that prohibit parole and work-release programs against the public interest. These men who once thrived in the trappings of power at the highest level, men who hold degrees from America’s finest universities, maintain social connections with other people of influence. As such, they enjoy an audience for their grievances. Rather than complaining to family members trapped in welfare lines and drowning in systemic cycles of poverty as most prisoners do, these prisoners who hail from legislative chambers and executive suites cry to people who can change the wretched system of so-called corrections. In my article entitled Eighteen Year old Receives Ten-Year Sentence, I describe the more typical prisoner. I hope the mayors, senators, congressmen, and other politicians coming to prison will help usher in a kinder, gentler, more compassionate America. Perhaps they will promote the teachings of Christ that urge forgiveness, and condemn the writings of Machiavelli, that encourage duplicity. You have a valid point there! Bring in the politicians! In your article entitled “Locking More People of Power in Prison Will Promote Prison Reform! Bring in the Governor!” you have indicated that you have had conversations with these people who were born into privileges and have social connections are now whining about the complexities of confinement.My questions to you are, Have these people mentioned to you what they are going to do to try to fix the complexities of confinement? If so, what kind of help are they going to try to offer and from who? And if these people have already reached out for help are they succeeding or failing? If they are failing, why do you think they are failing? I enjoyed reading your thoughts and concerns about this issue. I thank you for all the time you’ve contributed in my understanding of Corrections. I appreciate the time you’ve taken to read my work, and I’m glad you’ve found some value in it as you study corrections. The people to whom I referred in this article were not serving their time in productive ways. Rather than making efforts to improve the system of corrections, they focused energy on explaining why they were not guilty and how it was an injustice that they had to live by the same rules that governed other people in prison. Although they led careers as legislators before, they were prisoners now. 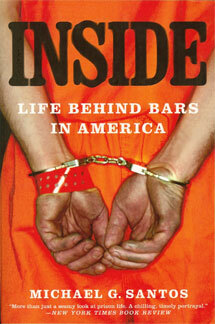 I wanted them to use their influence to apprise colleagues of what they had learned about the prison experience. Instead, many of the men who formally held positions of power wanted to rail about how they felt that they had personally been wrongly convicted. They had less concern for what I considered to be a fundamentally flawed system. Those prisoners only thought about themselves. Still, I felt happy to have them in our population because their imprisonment brought attention to the system. We needed more attention to influence prison reform. Bernard Madoff’s recent imprisonment, for example, has brought more attention to the struggles with which prisoners live than any 1,000 people who were convicted of less notorious crimes could bring. That’s why I’m pleased to see more people of influence come into the prison system.